I love perfume and over the years I’ve discovered some amazing natural perfumes. I really like Pacifica’s perfume range especially their travel-friendly perfume roll-ons. For your wanderlust heart, take these with you wherever you may go! Natural grain alcohol and Pacifica’s signature blends with natural and essential oils. Easy to apply and even easier to fall in love with. INDIAN COCONUT NECTAR 10ml – It is said that coconut water comes straight from the ocean. This warm blend of sultry fresh coconut, delicate vanilla and creamy vetiver is exotic and ambrosial. Tahitian Gardenia 10ml – An intoxicating blend of jasmine, orange flowers and ylang ylang. Inspired by Tahiti’s sacred flower, a symbol of love, unity & grace. Sugared Amber Dreams 10ml – May your dreams be filled with sparkling sugar, heady vanilla and warm amber. An intoxicating aura of rainbow wishes, magic and love for the bravest hearts. I love the beautiful packaging, the patterns and colours are bold, bright and eye catching. The perfume roll-ons are 100% vegan, cruelty-free and formulated without parabens, phthalates and propylene glycol. I find natural perfumes typically don’t last long so the perfume roll-ons are great as I can travel with them and re-apply whenever I need to. They fit perfectly inside my makeup bag or pocket. My favourite scent in the collection is Tahitian Gardenia. The scent is intoxicating, so fresh, sweet and flowery. It literally transports me to a tropical island. Indian Coconut Nectar is warm and sensual. It starts out a little intense but mellows out leaving you with tones of lush coconut and creamy vanilla. Sugared Amber Nectar is a lovely combination of warm and sweet vanilla and rich and heady amber. The scent is nicely balanced and not overly sweet. The scent is luscious, sweet, woody and earthy. I also like to play around with layering different perfumes to create a signature fragrance. Indian Coconut Nectar and Sugared Amber Nectar is a lovely combination. 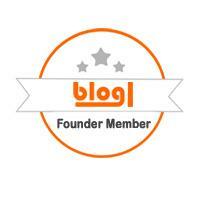 Disclosure: Product chosen as part of the LoveLula Accredited Blogger Program. As always I give honest and unbiased reviews of products I receive. This post contains an affiliate link.